The above is the opening sentence from T.S. Eliot’s poem the Waste Land. I don’t believe T.S. Eliot ever fly fished or cast a fly line, but he had a good feel for spring. Spring is the season of hope. We feel the rivers and country nourish itself with warmer weather and precious rain. There are days of wonderful dry fly fishing with trout rising and the whole world benevolent and kind. The next day, the wind blows in from the north ushering in cruel cold gray skies evoking the harshness of winter and all the fishing goes to hell. The bad weather and poor fishing are temporary and fleeting. The memory of winter fades as the desire for the benign days of summer increase. For the record, the opening sentence from T.S. Eliot’s poem the Waste Land, is as far as I could get. The rest of the poem quickly becomes incomprehensible to me. While others seem to fight off their shallowness, I seem to embrace mine. I might have been better served trying to decipher the Greek, Latin and Arabic that filter through his poem, but I decided to go fishing. In defense of fly fishing, I find something equally profound and poetic. A trout stream is still a wonderful place to seek solace from the maddening crowd. Trout fishing for me possesses mystery, magic and miracles which is the essence of religion. I find that very few atheists fly fish because I think atheism is rooted in negation. 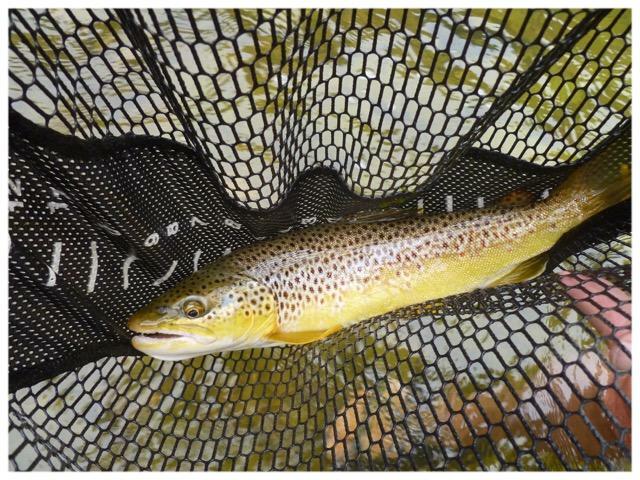 As soon as a trout touches a fly, you witness a kind of miracle or maybe a little redemption. A redemption from errant casts, the wrong flies or misread water. When your fly line tightens and you feel the strong pure pulse of life coursing through the fly line it says “Yes” to everything around you. 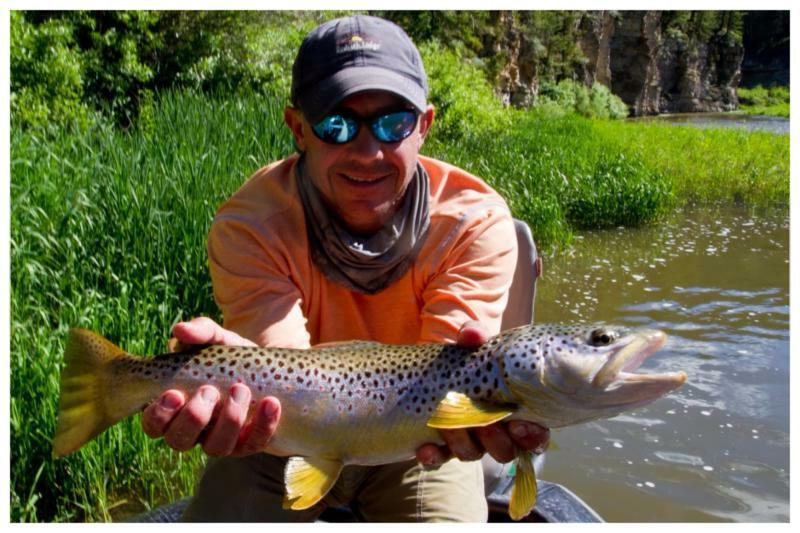 To keep it simple – Fly fishing affirms life. We have snow which is critical for streams. The heat and dryness of last June was an anomaly. May and June are normally the wet months in Montana. 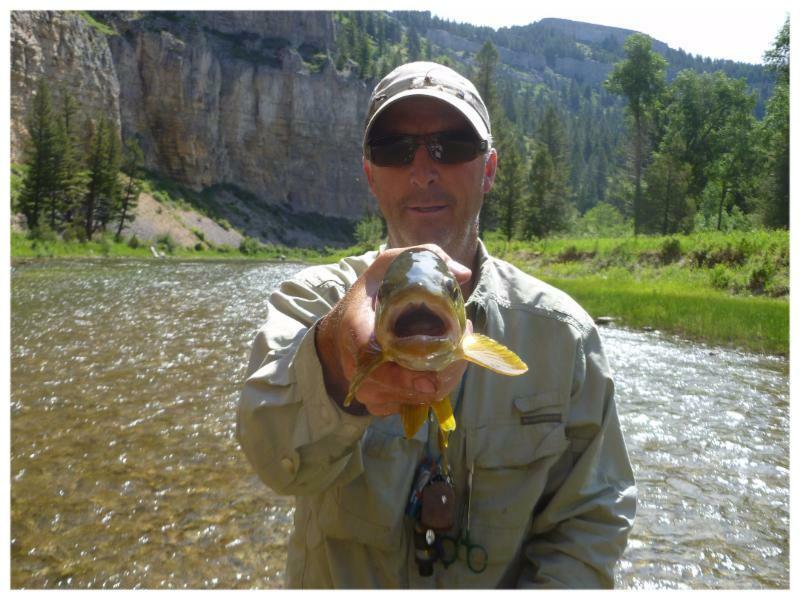 This year with average to above average snowpack rivers flourish, anglers grin and outfitters and guides prosper. Hope, growth and prosperity for all. This has been the best booking year we have ever had for our Smith River trips. We have very few spaces left, so there is a small window open to get downstream. We are the largest outfitter on the Smith River, which breaks down to, we have the most dates and the most good dates available to float. For those truly interested in five days and four nights of floating and camping along with more fun than most mortals can handle, the time to book for 2017 is now. 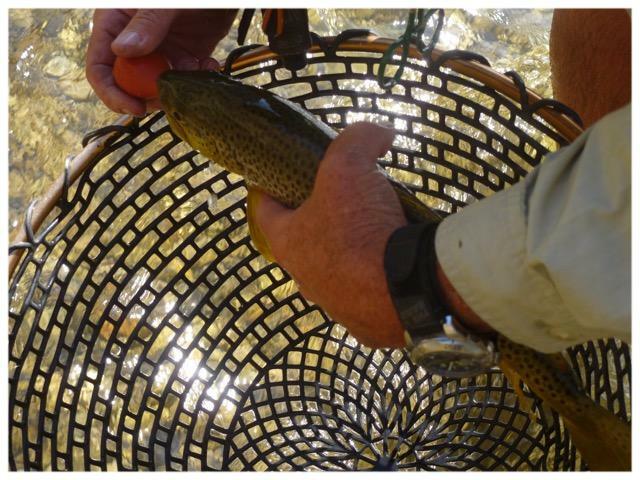 We fish a collection of bucket list rivers in southwest Montana. The Beaverhead, Big Hole, Jefferson, Madison and Ruby rivers all have their virtues. Each river has its own personality, tempermant and beauty. They all entice, enchant and intrigue anglers. We added some more private water in the Ruby valley gaining 30 rod days at the Woodson Ranch, operated by the Montana Land Reliance and Ruby Habitat Foundation. This provides access to Alder Creek, a prolific spring creek along with four miles of prime water on the Ruby. It is where I truly belong. It is where I am supposed to be. But a lifelong journey I am on. And one I will show to others. Then you will know who I am. And we will fish together from far away. Herb had been going down the Smith River since he was a kid and he continued the tradition, bringing his friends and family to float with us for over 20 years. The Smith was Herb’s home river and for me and the crew of guides and gear-boaters that knew Herb, there is an emptiness in our hearts that can not be replaced.